This is a Wii video game! This is a video game designed for the Nintendo Wii console. You will need a console that has a modchip installed. They are sold in many places and we recommend www.slimtool.co.uk, they have an installation service. 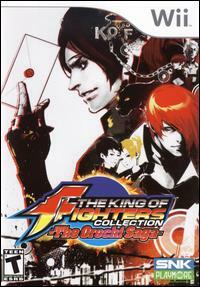 The King of Fighters Collection: The Orochi Saga is a compilation featuring five of SNK's annual 2D Fighting releases. Included are the games The King of Fighters '94, The King of Fighters '95, The King of Fighters '96, The King of Fighters '97, and The King of Fighters '98.